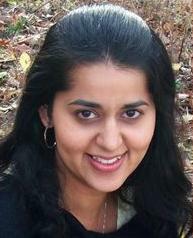 TORONTO, Ontario, Canada, December 16, 2015 (ENS) – Climate change has led to warming of lakes at a rapid rate, even faster than the air or the oceans, says York University biologist Sapna Sharma, lead author of a new global study. In total, 236 lakes were monitored annually for the past 25 years. “While that’s a fraction of the world’s lakes, they contain more than half the world’s freshwater supply,” explained Sharma. Said to be the largest study of its kind, it is also the first to combine manual lake measurements made by thousands of scientists over more than a century with satellite measurements of lake temperatures collected by NASA over 25 years. The study predicts that at the current rate, algal blooms, which rob water of oxygen, will increase 20 percent in lakes over the next century. 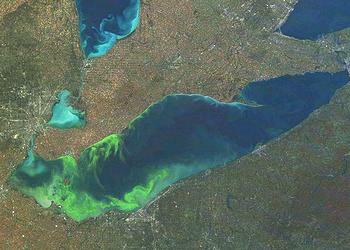 Harmful algal blooms can lead to fish kills. They also can affect the safety of water for recreation and for consumption, as was the case in Toledo, Ohio, and southeast Michigan during a 2014 bloom. Algal blooms that are toxic to fish and animals would increase by five percent, warn the scientists on the York University lake study. These rates also imply that emissions of methane, a greenhouse gas that is 25 times more powerful than carbon dioxide, will increase four percent over the next decade. “We found that ice-covered lakes, including Canadian lakes, are warming twice as fast as air temperatures and the North American Great Lakes are among the fastest warming lakes in the world,” said Sharma. The study results were announced Wednesday at the fall meeting of the American Geophysical Union in San Francisco, attended by some of the more than 60 scientists from across the world who have contributed to this study. Sharma says the study demonstrates the importance of assessing the impact of climate in global freshwaters, to evaluate the sustainability of global supplies of food and freshwater. The study, “Rapid and highly variable warming of lake surface waters around the globe,” was funded by York University, the Natural Sciences and Engineering Research Council of Canada, the U.S. National Atmospheric and Space Administration, NASA, and the U.S. National Science Foundation. It is published in the journal Geophysical Research Letters. In April 2015, NASA and several partners announced a new multi-agency effort to develop an early warning indicator for harmful algal blooms in fresh water. The system is expected to make ocean color satellite imagery more easily available to environmental and water quality managers.